Why you should pray for Muslims: 10 ministries join together to rally up Christian intercessors around the globe. When is the last time you’ve reached out to a Muslim in love? Dr. Jason Peters met recently with persecuted family members in Iraq. He will share an inspirational story of a brother who is demonstrating forgiveness and standing strong for Christ in spite of incredible opposition. Ramadan is the perfect season to pray that Muslims will experience the forgiveness of Christ--and even forgiveness from those they persecute! Our Christian family is being persecuted today. We will not let them suffer in silence. We will not let them serve alone. Because of Iran Alive Ministries’ effective satellite television broadcasts to the Middle East and Europe, Dr. Hormoz Shariat has been called “the Billy Graham of Iran.” * Iran Alive’s ministry reaches millions of people and has brought hundreds of thousands of Muslims to Jesus Christ since its inception. Dr. Hormoz Shariat was born into a Muslim family in Iran. He came to the United States after the Islamic Revolution of 1979. Dr. Shariat came to Christ while a graduate student in 1980, has a PhD in Computer Engineering from USC, and a Bachelors in Bible and Theology. In 1987, he planted a church in San Jose, California. With hundreds of Muslim converts, it remains one of the largest churches of its kind in the United States. His passion for Muslims stems, in part, because of the murder of Dr. Shariat’s brother, Hamraz, who was arrested in Iran at the age of 16 on a minor political charge. After two years in jail, he was executed by firing squad. God showed Hormoz the best way to respond to this tragedy was to dedicate his life to loving Muslims and sharing the Gospel with as many of them as possible. 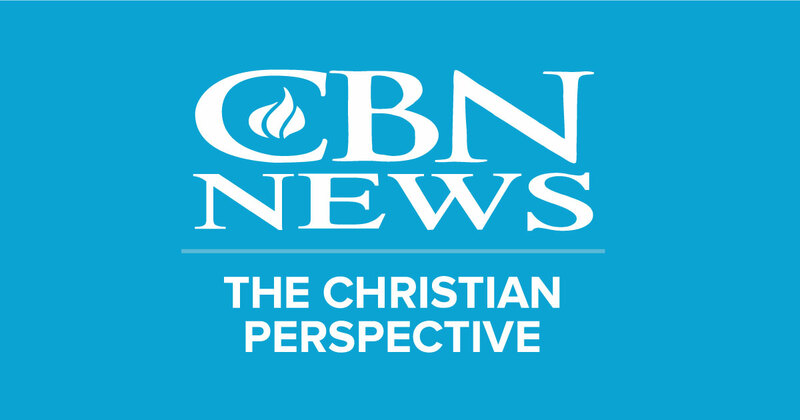 Christianity Today, Charisma and other publications have featured Iran Alive Ministries and Dr. Shariat. Dr. Shariat has been a guest on numerous national and international radio and TV programs including the 700 Club and the Inspiration Channel. Born in Dar es salaam, Tanzania, and of Indian descent, CBN News’ senior international correspondent and co-anchor, George Thomas, has been traveling the globe for more than 20 years finding the stories of people, conflicts and issues that must be told. He has reported from more than 100 countries, and has had a front row seat to numerous global events of our day. His stories of faith, struggle and hope combine the expertise of a seasoned journalist with inspiration of a deep calling to tell the stories of the people behind the news. Follow George on Twitter, Instagram and Facebook. Crescent Project is a national Christian ministry focused on equipping the Church to share the Gospel with Muslims here and abroad. Our mission is to inspire, equip and serve the church in this arena and our efforts have international impact. Our core training, Bridges, is now used in over 40 countries. Fouad will be sharing a couple testimonies of believers from a Muslim background and their experiences related to Ramadan and how they came to Christ. He will then invite participants to join him in praying for Syrians in Syria (or Libyans in Libya as a second option if necessary). In 18 years of serving with The Voice of the Martyrs, Todd Nettleton has interviewed hundreds of Christians who have endured persecution. He’s just returned from the Middle East, and will share testimonies of how God is at work drawing Muslims to Christ, sometimes in miraculous ways. Ramadan is a time when Muslims are seeking God, and we can pray together that they will find Him; the One True God, Who sent His only Son to make a way for all of us to know and walk in fellowship with Him. Hazem was born into a Palestinian family in Brooklyn, NY in the year 1984. He is the ninth of thirteen children and was raised in an Islamic home. At the age of 12, his father decided to move the family to Jerusalem, their ethnic homeland. There, he continued to learn about Islam and the Arab culture and set out to be a better Muslim. However, the family plan was interrupted when Hazem was confronted with the real Jesus, not a prophet. This encounter would change his life forever. Now he is an religious freedoms advocate aspiring to change the laws in the Middle East. He is a minister, an author (Mohammed Jesus & Me) and a public speaker who has given his life to share a simple easy to understand Gospel. Tom Doyle, a gifted storyteller and author, continues to bring God's astounding work in the Middle East to light. Through his books, television, radio, and conferences, Tom shares fresh, compelling, and thought-provoking reports of God's activity. On July 2, Tom will be sharing with us the great significance of the Night of Power as Muslims all over the world will cry out for their forgiveness of sins and a revelation from God. Heather Mercer has been involved in ministry among Muslims for almost 20 years sharing God's love and ministering to women in crisis. Her passion to see God's love and liberty free Muslim women facing systemic gender-based violence launched the ministry of Global Hope. Join us as we gather to pray for the 850 million women of the Muslim world to experience salvation and freedom in Christ, and the rescue of countless women bond in violence. IŞIK ABLA (pronounced Ishyk) was born in Turkey. She was raised—and physically abused—in a Muslim home, only to escape into even deadlier abuse by a Muslim man she married. Isık entered college when she was only sixteen and earned a bachelor's degree in literature, followed by an advanced business degree. She worked in high-ranking executive positions for some of the largest corporations in Turkey and traveled throughout Europe. In 1996, she fled to America from her violent Muslim husband after he tried to kill her. Other tragedies took place brought her into a state of despair. After years of struggling to start her career all over again in a foreign country and failing in many areas of her personal life, Isık fell into deep depression. She became suicidal. On the day she was planning to end her life, she had a personal encounter with God. That day, she surrendered her life to Jesus and she received the supernatural healing and redemption of Jesus Christ. In 2009, Isık began hosting a satellite TV program on Kanal Hayat - Turkish language Christian Satellite channel. There was an overwhelming amount of response through these programs.Two years later, because of tremendous responses from the Muslims, she began a live call-in program: The Way, The Truth and The Life that is simulcast on Turkish and Farsi TV channels throughout the Middle East and Europe. The responses started multiplying as the lives of Muslims were being transformed. Currently, Isık's TV programs target approximately 500 million people in the Muslim world. In 2014, the ministry reached 250 million people only through Social Media. Facebook has received an overwhelming response of 1.7 million likes and 3.5 million daily hits from Turkey, Iran, Iraq, Indonesia, Pakistan, Egypt, Afghanistan, Saudi Arabia, Morocco, Jordan, Yemen, India and the U.S. Thousands of messages are received monthly. Because of the high demand and God's calling, Isık started Embracing New Life, TV programs in English and aired on INSP TV (Inspiration TV). These programs are targeting hundreds of millions of Muslims and are being dubbed into Urdu, Farsi and Arabic.Through Isık's programs, viewers from all over the US, Europe and Muslim nations receive Isık's message of hope, love and freedom in Christ. Isık is also the founder and the president of Isık Abla Ministries.